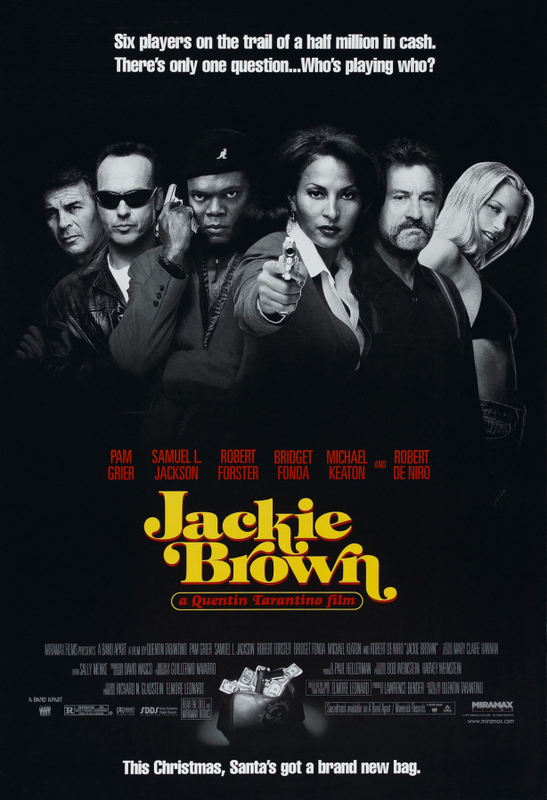 Jackie Brown was the last of the Quentin Tarantino movies that I had not seen, until now. 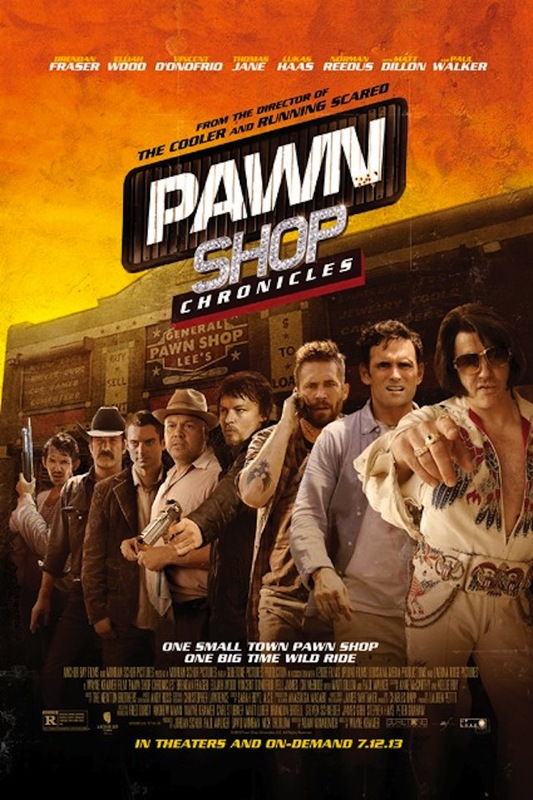 Here is a film with a number of big name actors in their prime and an established director who had semi-recently directed Reservoir Dogs (1992) and Pulp Fiction (1994). So why did I wait 16 years to watch this movie? The answer is that I was only 11 years old when it was in theatres and it is rated R. I was thinking about watching it about 11 years ago, but I had only heard bad things from die hard Tarantino fans, so I decided against it. I figured I would get around to it eventually, but I sure didn’t think it would take me this long. The film is about an arms dealer (Samuel L. Jackson) who is at risk of being investigated by the police, so he decides to clean up shop and dispose of some of the employees of his illegal organization. 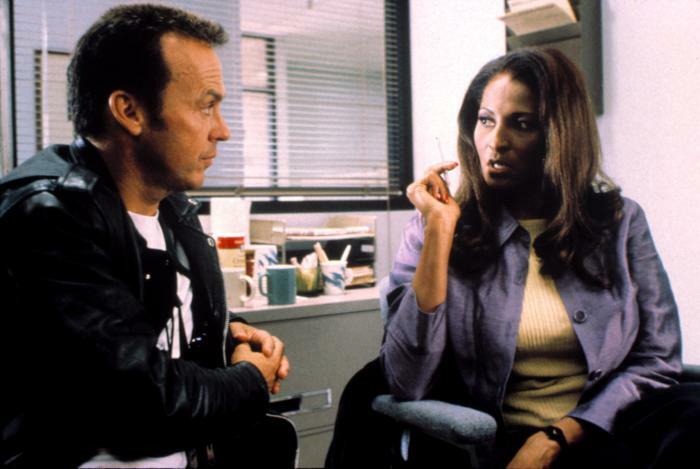 One of his employees named Jackie Brown (Pam Grier) is not so easy to get rid of. The rest of the noteworthy cast includes Robert De Niro, Michael Keaton, Robert Forster, Bridget Fonda, Michael Bowen, Chris Tucker, LisaGay Hamilton, and Tommy ‘Tiny’ Lister. From the very start of the film, it feels like Samuel L. Jackson is playing basically the same character that he played in Tarantino’s Pulp Fiction. He is loud, he talks a lot, and he uses the F and N words way more than he or anybody else probably should. He gets away with it though because he is Samuel L. Jackson and somehow that makes it okay. 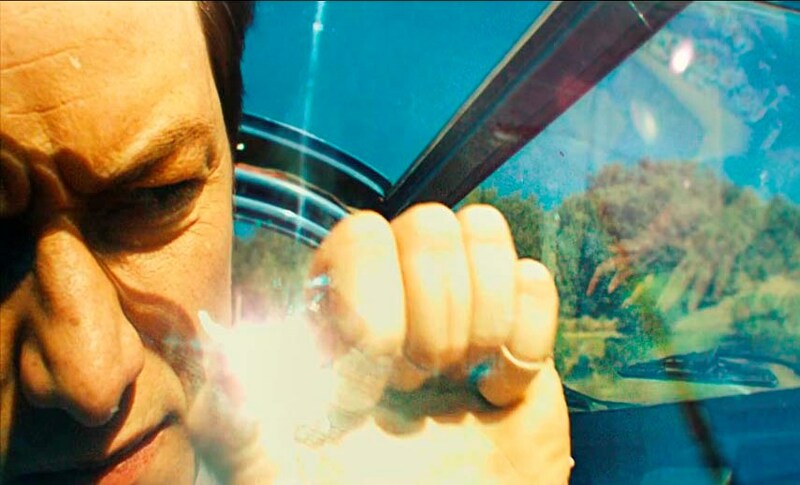 To this point in time, Tarantino’s films had been known for their heavy language, violence, and lots of dialogue. 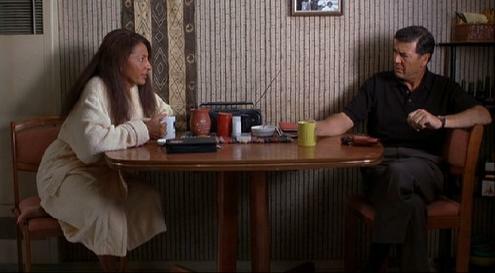 Jackie Brown carries on this tradition, except has far more scenes of people sitting or standing around talking. If the main characters are not sitting around an apartment chatting and smoking pot, then they are sitting around a bar or an office drinking, smoking cigarettes, and talking up a storm. There is an obscene amount of talking and far less doing, anything. This is a 2 hour and 34 minute long crime drama. 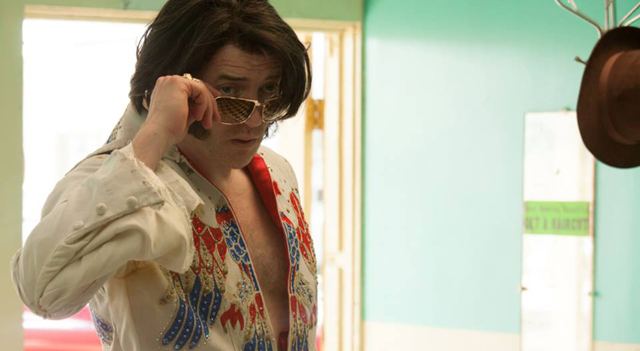 Honestly, it feels like Tarantino’s ego may have gotten the better of him while making this movie and he decided it was a masterpiece and therefore didn’t cut anything. Maybe he had gotten so much praise from his first two films that he let it go to his head. The film was probably an hour longer than it needed to be. Some scenes were so painstakingly slow that I got bored and a little sleepy. De Niro seemed somewhat miscast. His character was so dumbed-down that it did not seem like he fit the part. It was entertaining to see all of these big stars while they were still in their prime. 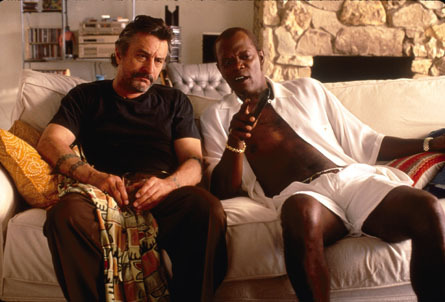 However, Jackie Brown is a bloated thriller without very many thrills. This is Quentin Tarantino’s worst film. I’m glad that I finally watched it because now I know what all of the fuss is about. If you have not seen this movie, you’re not missing much. I have always wondered what Japan would have been like at the end of WWII when the Japanese surrendered. It seems to me there would be a lot of chaos and resentment during the rebuilding process. 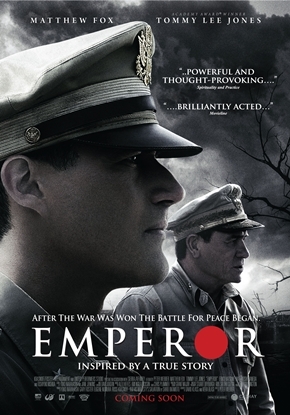 Emperor is based on the book “His Majesty’s Salvation” by Shiro Okamoto. 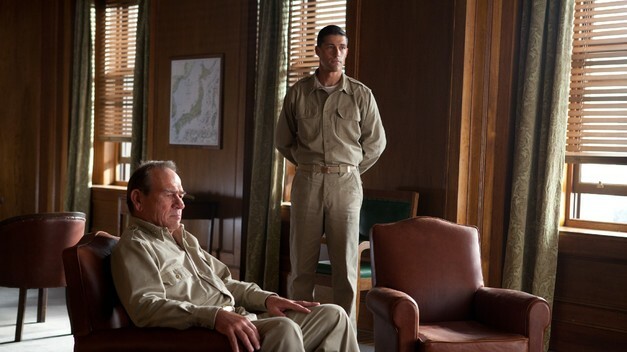 When WWII ended and the Japanese had surrendered, General Fellers (Matthew Fox) was given 10 days to weed through the intricate web of power surrounding the Emperor and detain the men responsible for the attack on Pearl Harbor. He was also ordered to figure out whether or not Emperor Hirohito was a war criminal and if he should be hanged. During his investigation, Fellers was also on a personal quest to find his missing Japanese girlfriend, Aya (Eriko Hatsune). The film was directed by Peter Webber and the rest of the noteworthy cast includes Tommy Lee Jones, Colin Moy, Takataro Kataoka, Masato Ibu, Isao Natsuyagi, and Kaori Momoi. This is the first movie of its kind that I have seen. The film was not quite the powerful film that it could have been. However, it was put together nicely, well acted, and well directed. I thought that the film did an excellent job depicting the ruins of Japan. It was eerie seeing the aftermath of entire cities that had been obliterated. 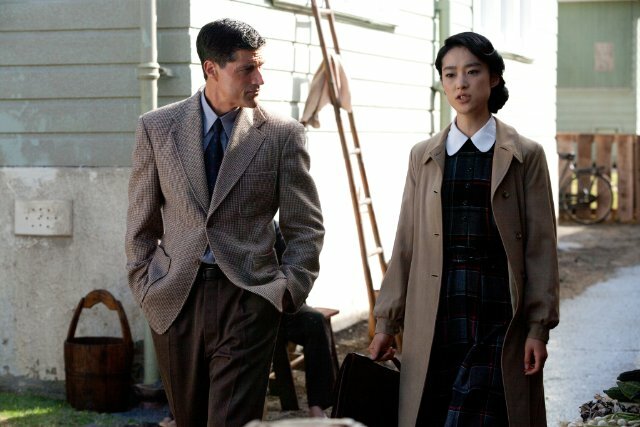 The movie felt like it was actually taking place right after WWII. I feel that Matthew Fox has recently proved himself as a capable actor. 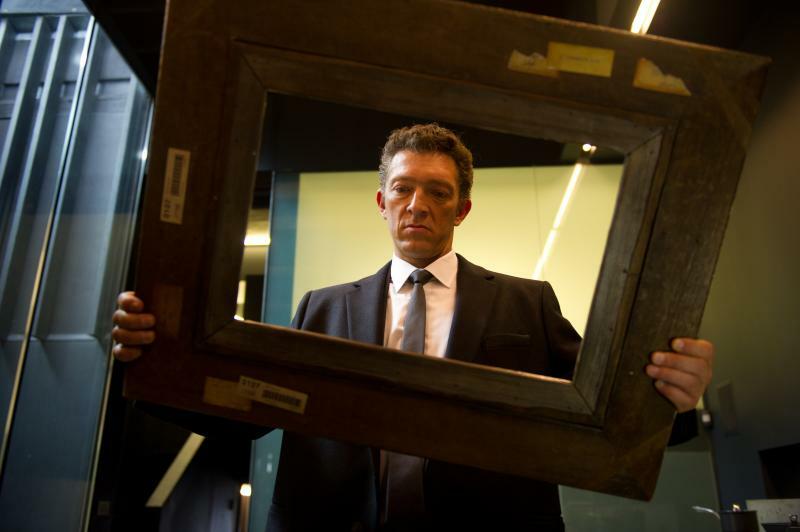 It was the film Alex Cross (2012) that made me take him seriously. He did a good job in Emperor. 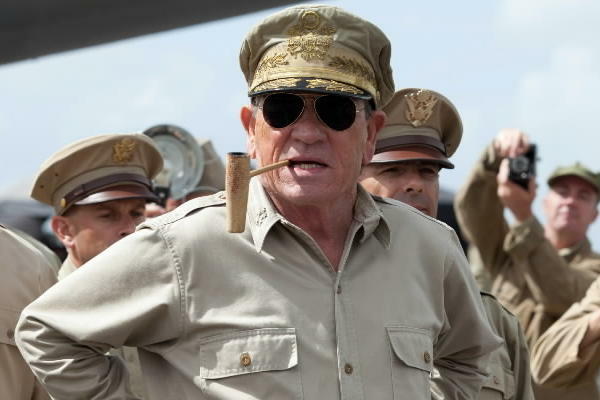 It was yet another no-nonsense role for Tommy Lee Jones and he played the part as well as he always does. The film did a great job of telling a story that I am sure that a lot of people are not familiar with. If you are a fan of WWII movies like I am, then you will probably enjoy this one. It felt a little slow at times because there are a lot of conversations with translators translating back and forth. They go back and for between that and using subtitles and it makes the film seem longer than it really is. 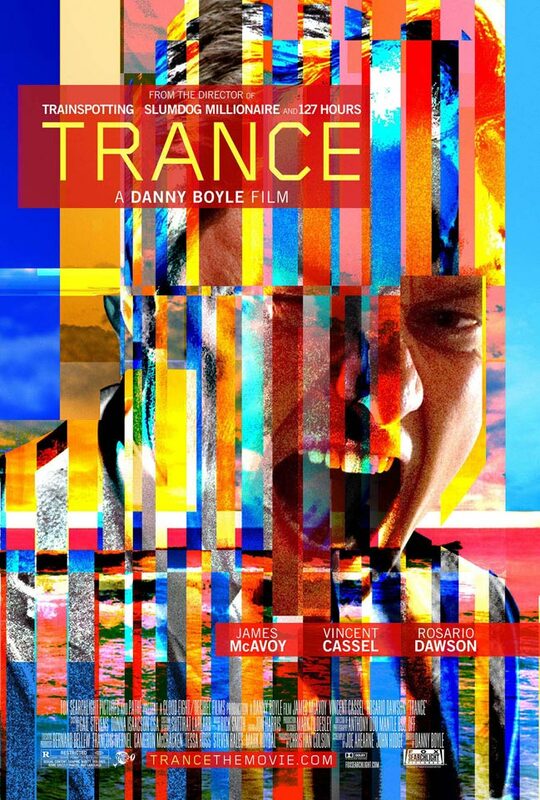 There is not a whole lot of violence or language and the movie was very tastefully made. This movie is based off of the novel by Markus Zusak. Liesel (Sophie Nelisse) is a young girl without a family in Nazi Germany during WWII. She gets taken in and adopted by a couple who also hide a Jewish boy under their stairs. 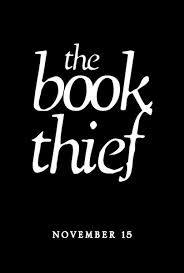 With all of the terrible things going on around her, Liesel takes comfort in stealing books and sharing them with her new family. 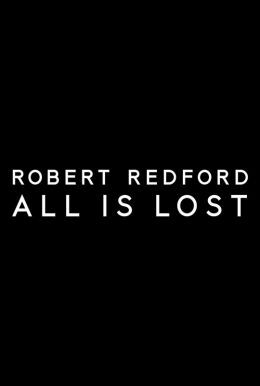 The film was directed by Brian Percival and the rest of the noteworthy cast includes Geoffrey Rush, Emily Watson, Ben Schnetzer, Joachim Paul Assbock, Kirsten Block, and Sandra Nedeleff. I have not read the book, but the movie looks like it could be pretty good. It’s a story that I am not familiar with, but it looks intense. The movie is set to release on 11/15/13. 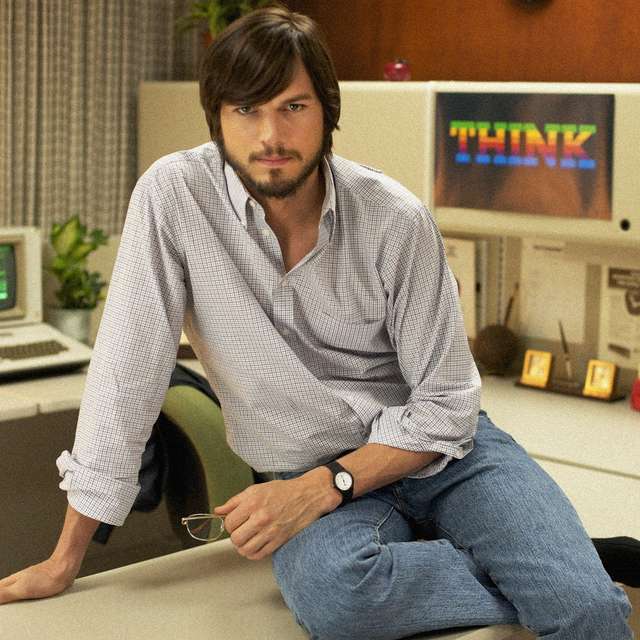 To me, Ashton Kutcher playing Steve Jobs is a sign that he is trying to shed his pretty boy image. He has been in a few serious films, but for the most part he has stuck with comedy. Usually you are unable to take Kutcher’s characters or the movies that he is in seriously. He has been a likable goofball for the majority of his acting career. 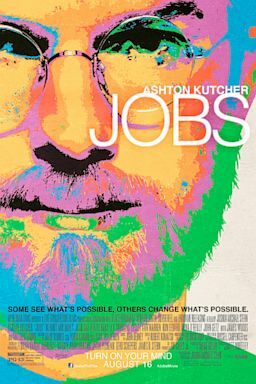 Before watching Jobs, I knew that it had the potential to be a game changer for Ashton Kutcher’s career. If he played his part well, then in a sense, he could earn his wings and continue making real movies. 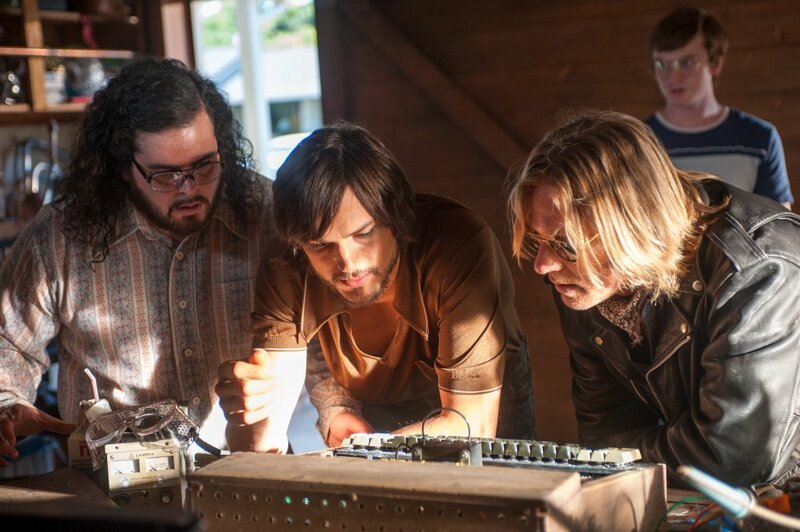 Jobs is inspired by the true story of how Steve Jobs (Ashton Kutcher) co-founded Apple Inc. after dropping out of college and became one of the most innovative creators and entrepreneurs of our time. The film was directed by Joshua Michael Stern and the rest of the noteworthy cast includes Dermot Mulroney, Matthew Modine, Josh Gad, J.K. Simmons, Ron Eldard, James Woods, Lukas Haas, John Getz, Kevin Dunn, Nelson Franklin, Robert Pine and Elden Henson. Since the movie is inspired by a true story, I would be interested in knowing exactly which parts are true and which parts are fiction. 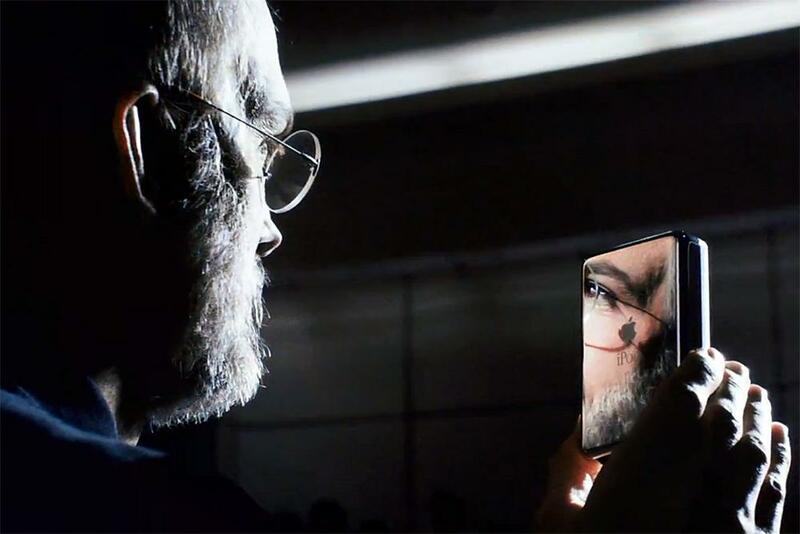 I will admit that before watching Jobs, I knew hardly anything about Steve Jobs. I knew that he founded Apple and he had a major role in the company’s success, but that was about it. As a child, the first computer that my family owned was an Apple Macintosh. That always stuck with me. Fast-forward to now and Apple is still the best in the business and always evolving. Jobs is an intriguing story about a hippie college dropout with a vision for greatness and an overwhelming passion to follow through on trying to make the world a better place. This is Kutcher’s best performance as an actor so far. He did a heck of a job as Jobs. 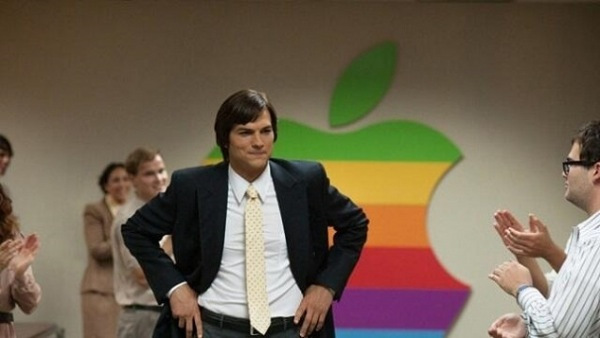 The movie certainly has the potential to change Ashton Kutcher’s image and I foresee more serious movies in his future. Is it a game changer for him? I think that it certainly is. The rest of the cast did an excellent job in their supporting roles. The film felt a bit long-winded towards the end and it lacked more development of Steve’s family life. However, the film was uplifting and inspirational. It’s a worthy tribute to a genius who left his mark on the world. Paul Rudd has been typecast in the same roles for the majority of his career. 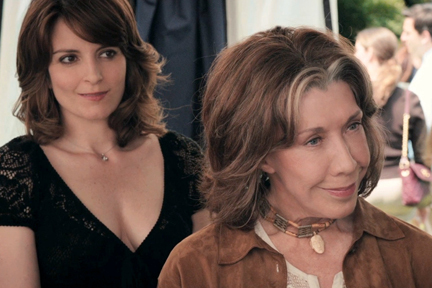 When Tina Fey is not on television, she is acting in cheesy romantic comedies. With this in mind, I figured that this movie would be very average, but I thought that I would give it a chance anyway. 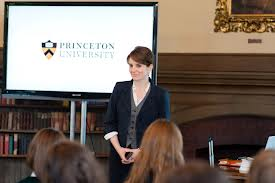 The film is about an admissions officer at Princeton (Tina Fey) who is not very fond of children. After finding out that an applicant just might be her son that she gave up for adoption a number of years before, she puts her job in jeopardy trying to help him get accepted. The movie was directed by Paul Weitz and the rest of the noteworthy cast includes Paul Rudd, Gloria Reuben, Wallace Shawn, Lily Tomlin, Michael Sheen, Nat Wolff, and Travaris Spears. I would hardly classify Admission as a comedy. It is not even really a dramedy. It is a romantic drama, but mainly just a drama. It seems like more and more movies these days have been released classified as comedy/romance/drama. It is deceiving because often times these movies are just not very funny or any good at all, i.e. 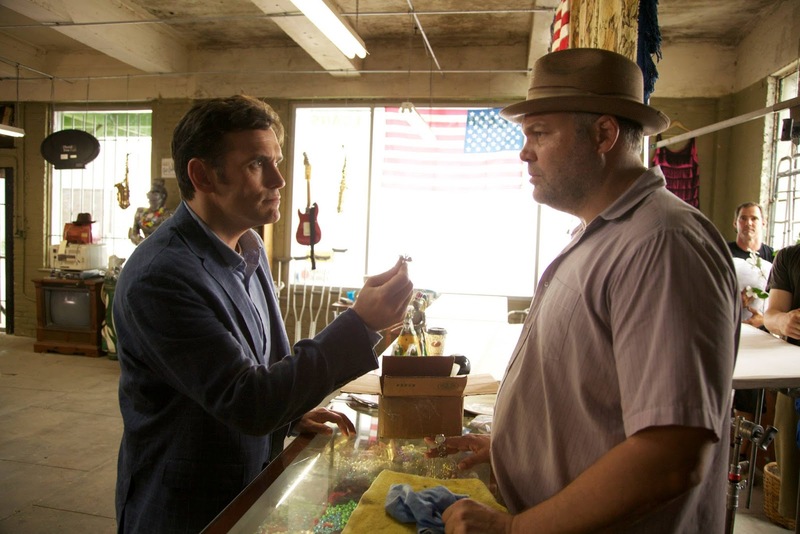 The Guilt Trip (2012) and Seeking a Friend for the End of the World (2012). These types of movies take actors that are mainly known for their comedy and they try to stretch the parameters of their acting ability by making them do comedy, drama, and romance. The end result is usually a light hearted, dysfunctional concoction of cheesy and cheap humor, a formulaic story, and characters that seem out of place because they are out of their element and in over their heads. Admission is exactly this kind of movie. 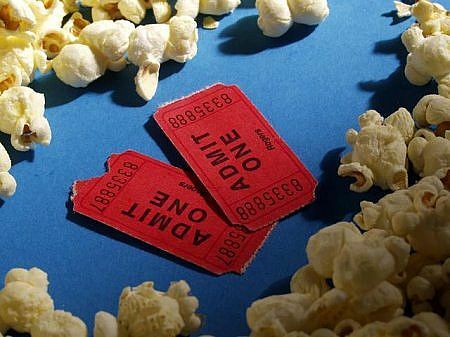 I chuckled a few times, I was bored a little bit, and when the movie was over I knew that I would never have to see it again. Rudd and Fey keep making the same movies and therefore will continue to make the same movies. Tomlin was charming. Given that she has mainly been acting in television lately, it was nice to see her in a movie again. This is not even a good “chick flick.” Don’t waste your time on this below average movie.